Gold Nautilus Award Winner and COVR Award Winner! What a terrific resource! This book provides so many thought-provoking ideas for simple, fun “challenges” to help us live happier, more loving lives. Lori Deschene has given us a gift—Tiny Buddha’s 365 Tiny Love Challenges is a wonderful way to practice spreading love in the world. Let this book inspire you to spend a few minutes each day on a journey to become a more loving, compassionate person. This book is great go-to gift for family and friends who need an extra boost of inspiration! Lori Deschene has written a powerful book with a powerful message. "365 Tiny Love Challenges"—it sounds simple, but take on even a few of these challenges, and you will quickly discover more intimacy, connection, and love in your relationships and your life. These healing practices wriggle right into the fears and inadequacies that hold us back and gently invite us to relate from the place within us that is authentic, compassionate, and whole. If spreading love in the world can be as easy as one simple act a day, sign me up! I love this book, and can’t wait to use the fun challenges. Let Lori and her Tiny Buddha community be your guide to a happier, more fulfilled life. Many of us know that meaningful connections are the foundation of a happy life, but that doesn’t necessarily make it any easier to create and sustain fulfilling, mutually beneficial relationships. It’s hard to find people we click with and turn surface level interactions, online or offline, into something deeper. It’s hard to be forgiving, accepting, and understanding when we’re dealing with imperfect people, just like us, who may also struggle with these things. It’s hard to find time to be there for others when we’re running from place to place, trying to get things done, and possibly struggling to make ends meet. And it’s hard to be fully present when we find the time, since we’re often overwhelmed by a swarm of thoughts, fears, and worries about the past and the future. It’s a lot easier, though, when we make the effort to work on these things regularly—and even the tiniest effort can make a big difference. No matter who you are, what you’ve done in the past, or what time you have available in the present, you can do something, right now, to create more satisfying relationships. Tiny Buddha’s 365 Tiny Love Challenges can help. Including more than 70 stories from Tiny Buddha contributors on kindness, forgiveness, and more, the book offers a year of simple daily activities to help you give and receive more love. Write a list of three things you appreciate about yourself and place it somewhere in your home where you’ll frequently see it throughout the day. Compliment someone who serves you in some way (for example, a waiter, barista, or bus driver) on how well they do their job. Keep an eye out for someone who looks sad—a friend, coworker, or even stranger—and say something that might make them laugh or smile. With monthly themes to help you focus on different aspects of relationships, Tiny Buddha’s 365 Tiny Love Challenges can help you feel more connected—to yourself, to the people around you, and to the world at large—one tiny action at a time. Most books about love don’t offer the simple ideas and tools that can really lead to more love in one's life. Yet, this book delivers the goods. It's full of truly practical things you can do today that will make a noticeable difference in your life. Tiny Buddha is a giant of a teacher. In Tiny Buddha’s 365 Tiny Love Challenges, Lori Deschene offers a diverse range of suggestions that will likely challenge any reader to strive toward becoming the person they would truly like to be. The book’s title can mislead one into thinking this is just a light read, but for the person truly interested in their personal growth, there is a great deal to chew on in this calendar's worth of challenges. Secular in nature with a soupçon of spirituality, this little gem is worthy of serious attention. So many of us want to cultivate more love in our lives— how loving of Lori Deschene and Tiny Buddha to gently guide us through a year's worth of tender ways to expand our hearts. In this generous book, Lori Deschene offers readers a practice for every day of the year. She calls them challenges, but they're easy to learn and fun to try. All of us are looking for ways to be kinder, more compassionate, and generous. This gem of a book turns those aspirations into concrete, down-to-earth practices that can be life-changing. As a bonus, Deschene includes heartfelt and insightful essays by a collection of writers who help readers see that they're not alone in their struggles or in their quest to lead a life of joy and compassion. 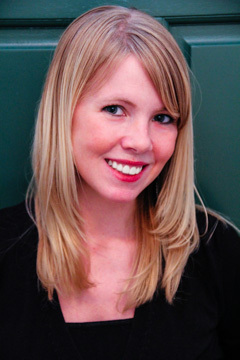 My name is Lori Deschene and I'm the founder of Tiny Buddha. For most of my life I felt alone. When I was younger, I was rarely by myself, busy as I was with school, work, and community theater. But I felt no one understood the depth of my pain and the depression and self-loathing that resulted from bullying—so I felt alone. In college, I maintained a full schedule, adding even more work to the mix, and entered my first long-term relationship. He was one of the few who knew the severity of my bulimia. But I couldn’t communicate why I hurt myself in that way, since I didn’t fully understand it myself—so I felt alone. After college, when I moved to NYC to escape the shame of my former life, I felt lost in a sea of people who knew me no better than the audience at a play. When I wasn’t wandering among the masses, I sat by myself in a cockroach-infested dorm style room, drinking, chain-smoking, and feeling down on myself—so I felt alone. There is very little as painful as feeling alone in the world, like no one cares, no one knows you, and no one would you love you if they did. I started Tiny Buddha, after years of hurting and healing, because I believe that no matter what we’re going through, we never have to feel alone. Someone else has been there, someone else understands, and someone else wants to help. Over the last six years, I’ve helped more than 1,200 people share their stories, insights, and lessons with more than 60 million readers. I’ve seen people connect, inspire, and encourage each other. I’ve watched people bare their souls, open their hearts, and change each other’s lives. I’d like to think I’ve done the same. In doing so, I’ve helped myself as much as anyone who’s read my words. Still, while sharing myself vulnerably in writing has helped me feel more empowered and less alone, that’s not what’s made the most significant difference in my level of connection. Baring my soul for millions of people was infinitely easier than being vulnerable with one. And that’s been my greatest challenge. Looking someone in the eye and saying, “I’m sorry.” Saying “I forgive you” in my head when someone didn’t say those words to me. Showing up and speaking up when I feared I might be judged or rejected. Telling someone I admire them, and why. Listening fully to someone else instead of thinking obsessively about myself and my struggles. These are the tiny, sometimes-difficult daily choices that have enabled me to feel less alone, and to give back to others what I’ve always hoped to get from them. I am not always trusting. I am not always secure. I am not always understanding, giving, or kind. But I work at it, every day. And I can feel a difference, every day. I created this book to share what’s helped me, and others, live full, connected lives, with less fear and more love. Unlikely many self-help proponents, I don’t believe we can only feel one or the other, but I believe we can feel the latter more often if we make the effort—and I believe we, and the world, will be better for it. A little more about me: My Wanderlust Yoga and Musical Festival presentation, Authentic Connections in a Networked World. I am a BIG fan of the Tiny Buddha site. Lori inspires her contributors to share personal growth experiences within a framework practical everyday wisdom. 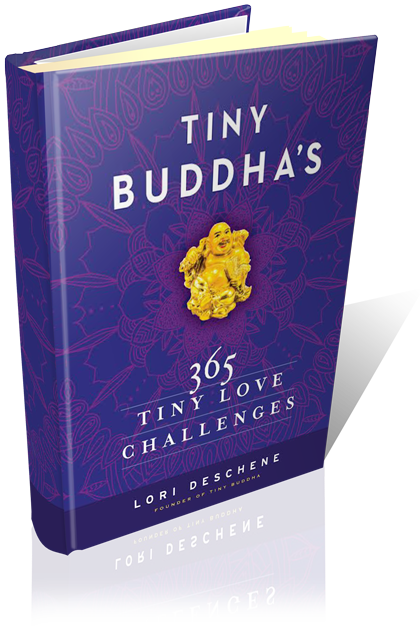 Lori Deschene’s’ 365 Tiny Love Challenges is a day-by-day compilation of the rich resources found at Tiny Buddha organized into personal growth challenges that we all can work on. I opened the book to today’s love challenge and my wife and I had an enlightening 2-hour discussion! Bravo Lori. Love isn’t something you have or don’t have. Love is both a practice and a choice. This Tiny Buddha guide is like a daily invitation to create more love, intimacy and connection in your life one small but mighty act at a time. Daring. Thought provoking. If Rumi tells us not to seek love but find and remove the barriers to it, what Lori Deschene offers us here are the very tools needed to dismantle the walls that prevent us from giving and receiving the love we long for most. Let the words between these pages transform your capacity to touch and be touched by love in all its forms. Tiny Buddha’s 365 Tiny Love Challenges is a big book of tiny suggestions that encourages us to participate in the community with kindness and authenticity, and can have a powerful impact on our own lives and the lives of those around us. 1. It’s jam-packed with practical, action-oriented tips to improve your relationships. If you commit to doing these tiny actions daily, you will slowly start to feel more connected to the people around you, better able to understand, accept, and support them, and better able to communicate and meet your own needs. 2. The book contains a number of powerful writing exercises to help you overcome internal blocks. The prompts may help you overcome fears, doubts, and insecurities that prevent you from loving yourself and others fully. 3. With more than 70 heartwarming contributor stories, the book provides insight, encouragement, and inspiration for more meaningful interactions. 4. You can use the book in varied ways to suit your needs. You could choose to do the challenges chronologically, starting with January 1st and working through to December 31st, focusing on one theme at a time. Or, you could flip to any page at any time and complete that challenge, taking a less structured approach. And because the challenges are timeless and beneficial when done repeatedly, you can refer back to all of the challenges for years to come. 5. You’ll have access to a vibrant online community to share your experiences with other readers. On October 6th, the launch date, you’ll find a new section added to the Tiny Buddha forums specifically for discussions related to the challenges. This will not only provide a place to share your efforts and how they’re strengthening your relationships, but also enable you to form new authentic connections with other likeminded community members. 6. It’s a tiny book with massive potential to change your life. It won’t take a huge time commitment, and yet it can lead to huge changes in your life. Everything changes when we start giving and receiving more love. Lori Deschene’s 365 Tiny Love Challenges not only can guide us in being more compassionate toward people in all walks of life, but indeed, is also an inspiring path to peace in a world in desperate need of it. — Daniel A. Miller, author of award winning Losing Control, Finding Serenity: How the Need to Control Hurts Us and How to Let It Go. Lori Deschene offers simple steps to big changes in a unique style that is thoughtful, entertaining, practical, and wise. Her day-by-day suggestions are genius. I love her work and highly recommend this book. 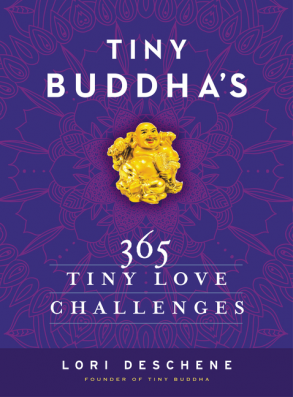 Tiny Buddha’s 365 Tiny Love Challenges is brimming with useful tips, intriguing challenges, and inspiring stories that help you tap into your best impulses and make thoughtful choices about the way you treat yourself and others. Lori Deschene’s inspirational guide is for anyone who wants to contribute to making the world a kinder and more loving place. What a lovely resource for daily inspiration and practice. I enjoyed doing the daily challenges and being uplifted by the many stories beautifully shared by members of the TinyBuddha.com community. The daily challenges are simple enough to be completed in a matter for minutes, yet powerful enough to warm your heart every day of the year. Thank you Lori, for putting this wonderful book together! Tiny Buddha: Simple wisdom for complex lives.